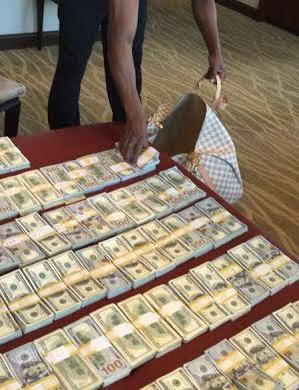 The champion boxer shared the photo above of him packing up ‘little’ cash for his trip. He captioned it: “I’m gonna just pack light for this trip”. This is light, Floyd? Lol.